Perrysburg Christians United (PCU) is a consortium of churches working together to help those in need in the Northern Wood County (North of SR 582)/Perrysburg area. PCU was founded in 1973 and is comprised of 12 churches which hold blood drives, gives crisis assistance, and maintains a food bank. Grace United Methodist Church in Perrysburg is home to the food bank, which operates on Mondays from 1-3:00 PM and Fridays from 9-11:00 AM. 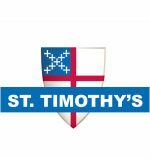 St. Timothy’s opens Clothesline on Fridays from 9:30-11:00, giving free clothing in season to men, women, and children. St. Timothy’s collects the following items for the food bank on an ongoing basis: Toilet Paper, Canned or Dry Soup, Peanut Butter, Canned Vegetables, Helpers (boxed dinners), Pork and Beans, Canned Fruit, Instant Potatoes, Canned Meats and Tuna, Dry Pasta, Shampoo, Crackers. If you would like to donate items, please contact our office with any questions you may have: office@saint-timothy.net or call 419.874.5704.